A lovely ensemble of retro things united by colour but not by age. 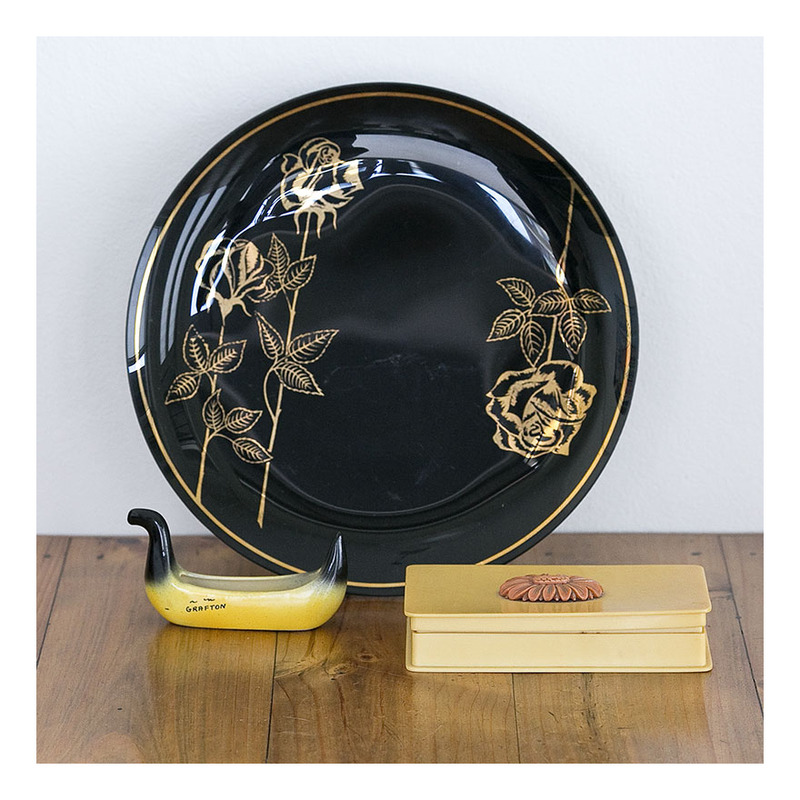 The large glass plate- black with gilt roses is 50s, the kitschy banana vase [Grafton= a lovely country town well known for its Jacaranda trees rather than bananas] is 60s and the xylonite box [xylonite is an early plastic made to mimic ivory] is somewhat yellowed and hails from the 20s. All made in Australia and all having different provenance; I collected the items one by one. All fine examples of their type: glass, ceramic [kitsch] and xylonite. The xylonite box is somewhat distressed, but has working hinges and the box lid still fits well- the celluloid flower on its lid is unusual and that will be attractive to xylonite collectors.